The Gazprom Management Committee reviewed and assessed as fulfilled the goals of the Year of Occupational Safety held in 2016. It was noted that Gazprom considered it a top priority to provide safe and comfortable working conditions for its employees. The company’s first-ever Year of Occupational Safety proved to be the most ambitious project of its kind in Russia. The initiative included 718 events aimed primarily at enhancing the labour safety culture. Specifically, the company held practical workshops for managers and workers to help them better organise and conduct hazardous operations. Heads of Gazprom’s subsidiaries met with their staff to discuss labour safety. Such meetings will be held on a regular basis with the purpose of improving management efficiency in the field of occupational safety at industrial facilities. A significant portion of the events meant to promote labour safety awareness among youth. Conferences devoted to safety were organised for young professionals and students from industry-specific colleges. Gazprom’s experts held training sessions and met with young specialists from subsidiaries, as well as college students and school children. The meetings included safety themed contests and intellectual games. On the whole, the Year of Occupational Safety involved upward of 330 000 employees from 112 subsidiaries, as well as workers from some 400 contracting organisations. A number of events were arranged in conjunction with Russia’s Ministry of Labour and Social Protection and regional authorities. Over the course of 2016, Gazprom developed and approved a series of corporate documents aimed at improving labour safety, including the Regulation on occupational safety contest among subsidiaries. The contest will be held regularly starting from 2017, and its results will be taken into account when analysing the efficiency of safety management systems at the company’s subsidiaries and when identifying areas for further work in the field. 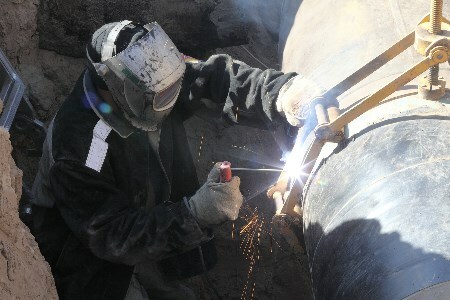 “The Year of Occupational Safety proved to be a success. The main outcome of the initiative is that we have had the lowest number of accidents at work in 17 years. Although the Year is officially closed, our work continues. Our goal is to eliminate workplace injuries,” said Alexey Miller, Chairman of the Gazprom Management Committee. The Management Committee reviewed the information about the implementation in 2016 of the Gazprom Innovative Development Programme until 2025, as well as about the use of funds for R&D purposes.